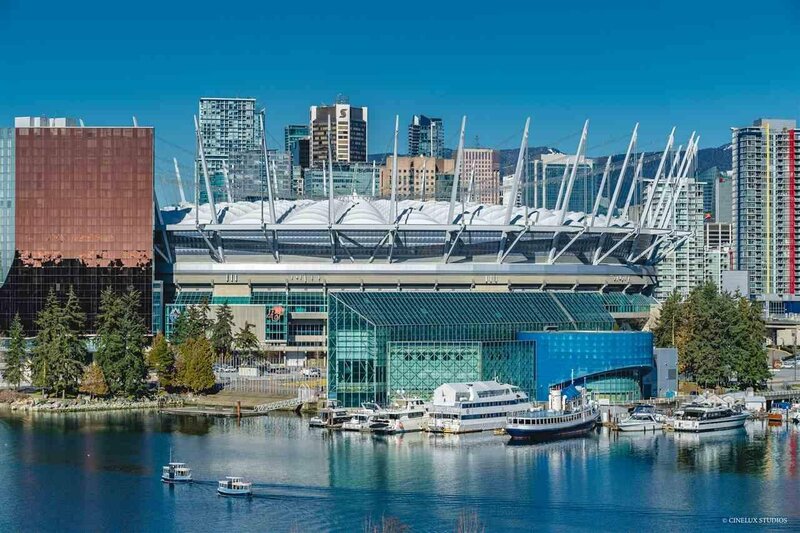 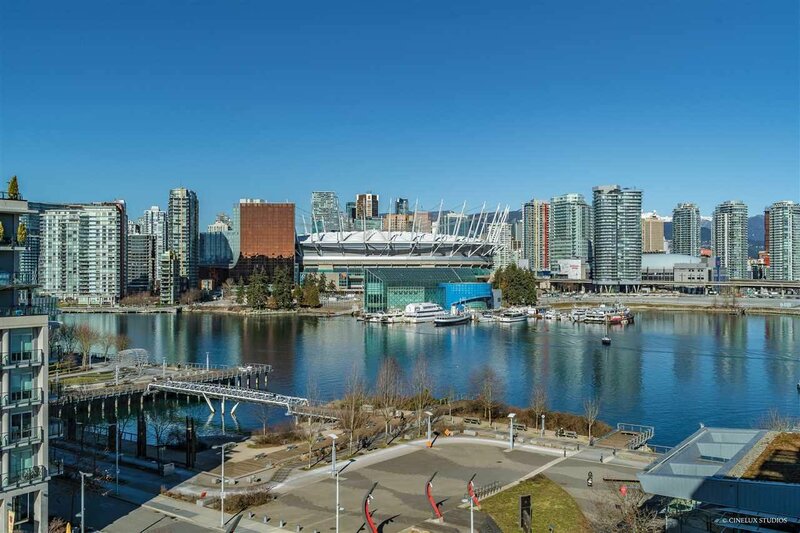 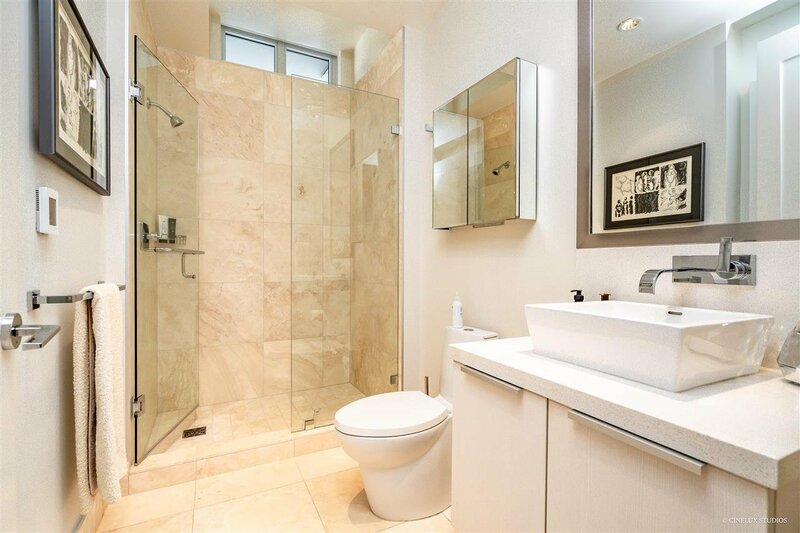 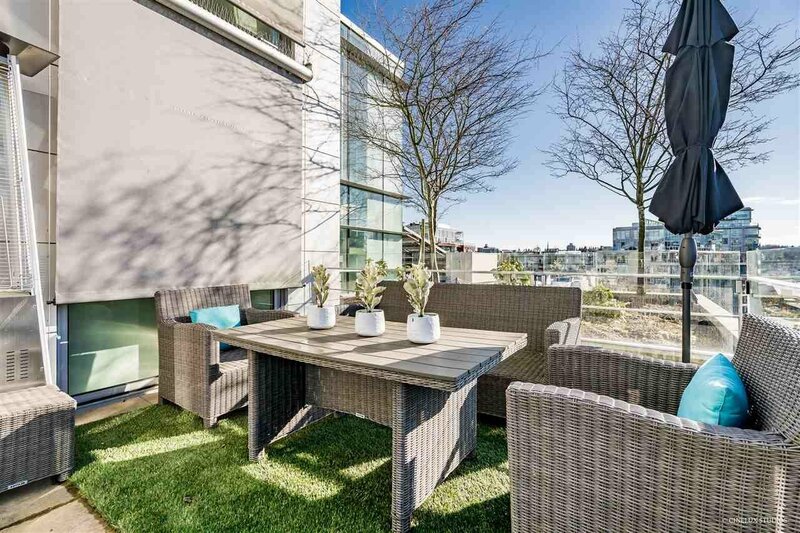 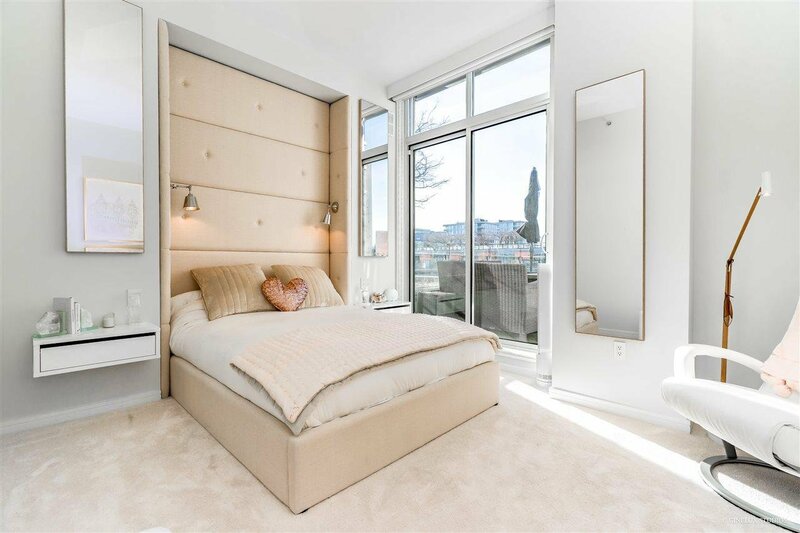 True Luxury in the heart of Olympic Village! 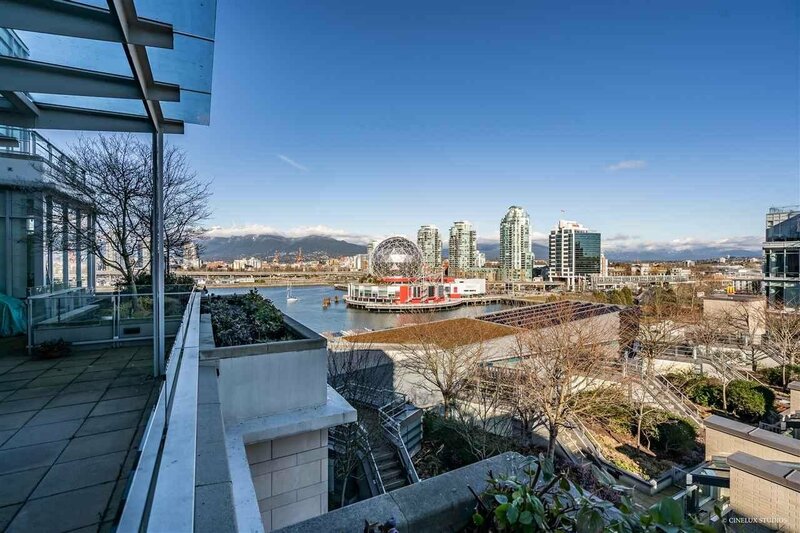 Watch the sun rise from your front patio in the morning, and set over False Creek from your back patio in the evening. 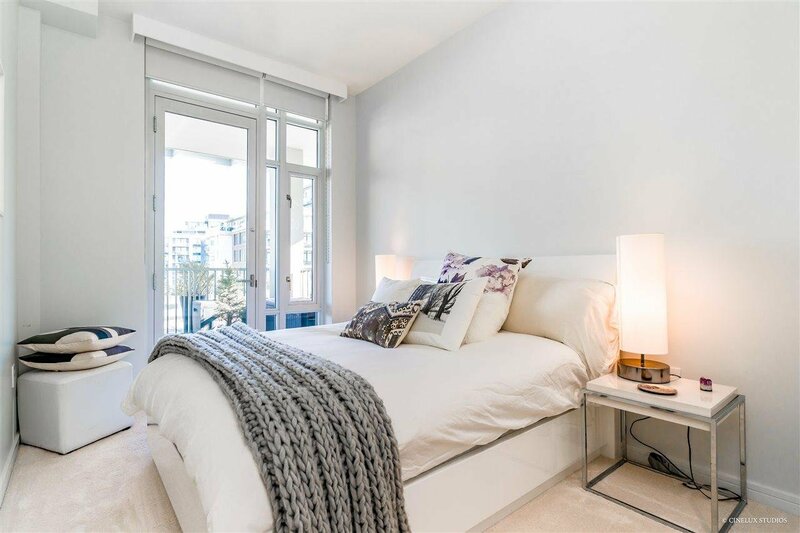 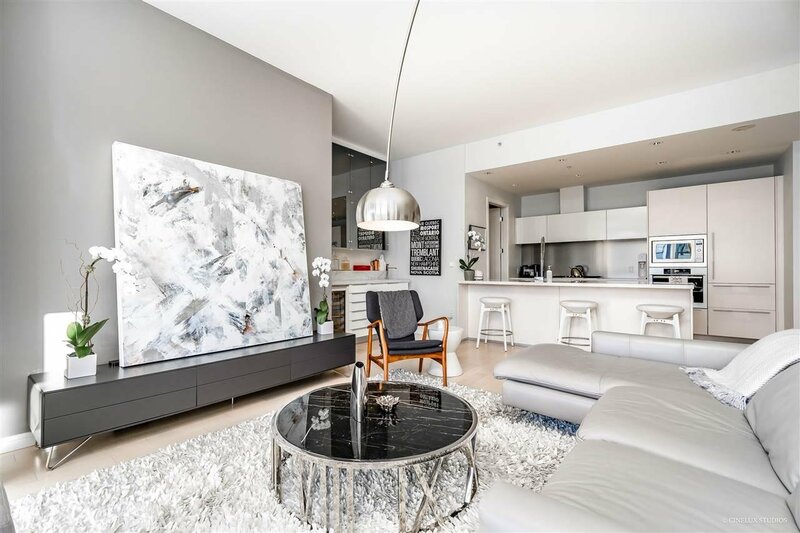 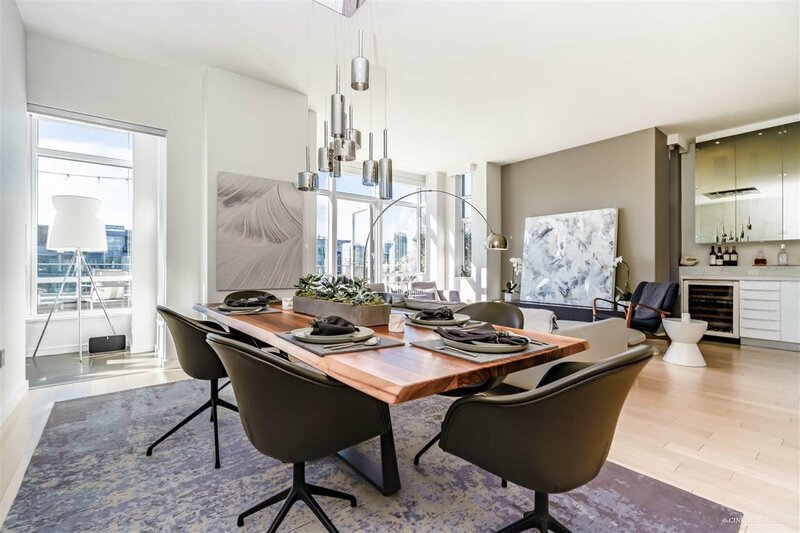 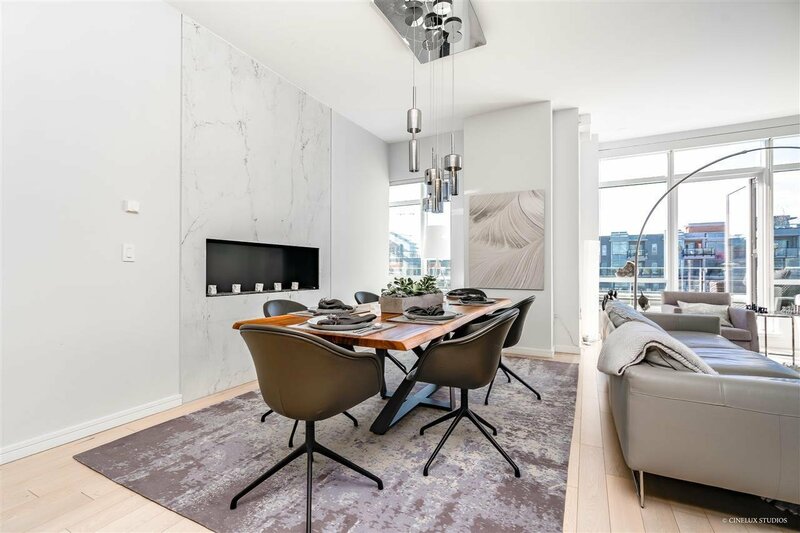 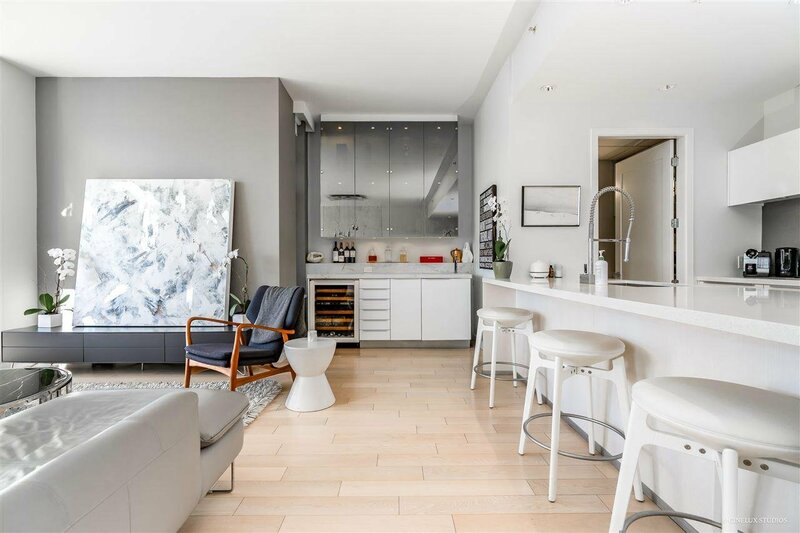 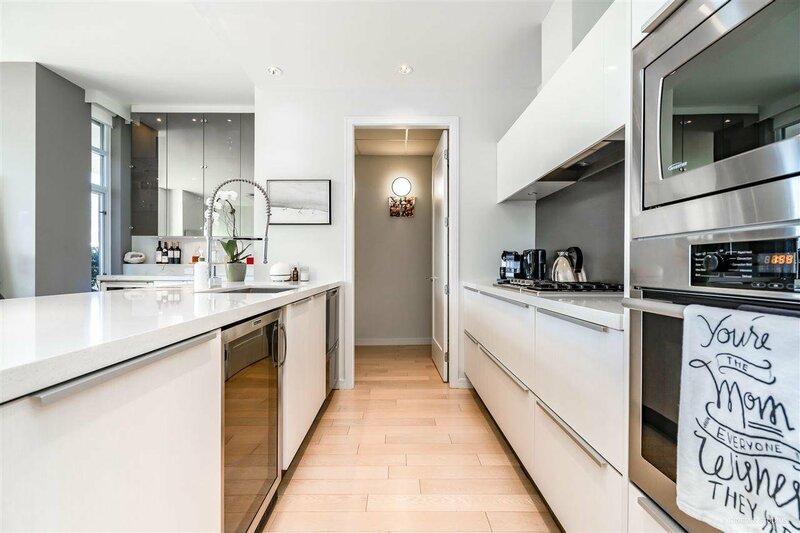 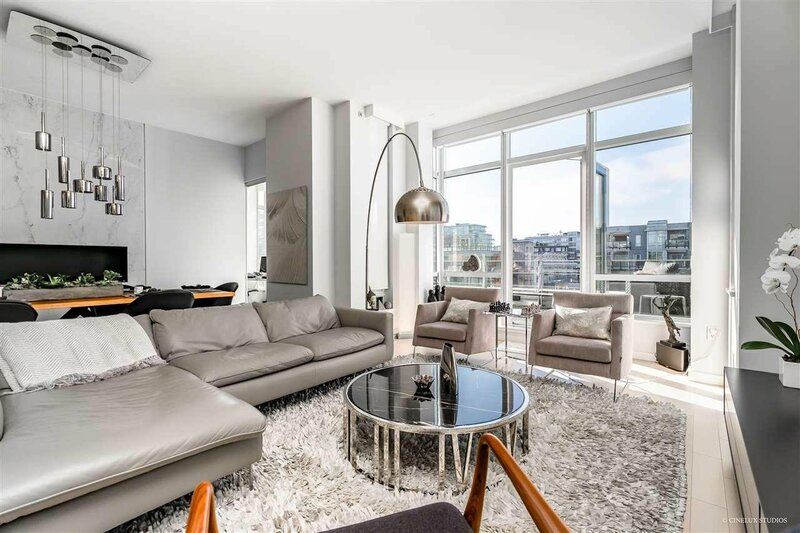 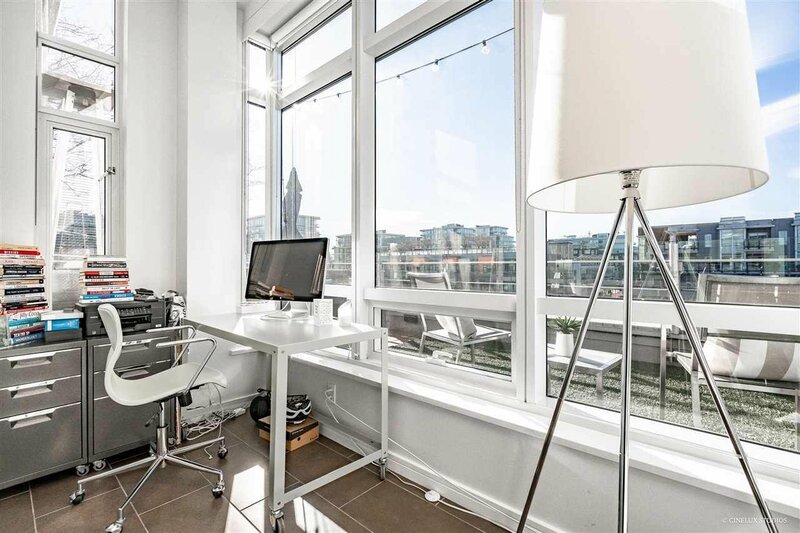 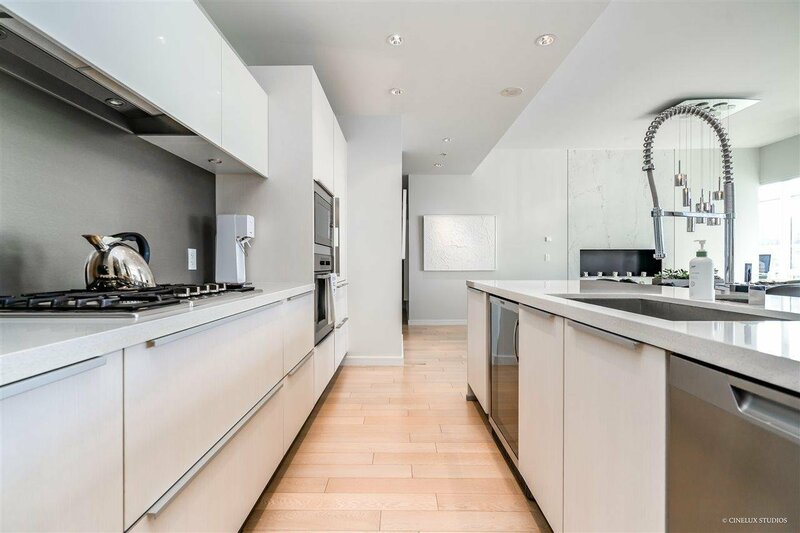 This stunning 2 bed, 2 bath + den sub-penthouse includes a gourmet kitchen with Miele & Sub-Zero appliances, immaculate bathrooms, an expansive walk-in closet, an elegant bar, herb fridge, and SONOS sound system throughout. 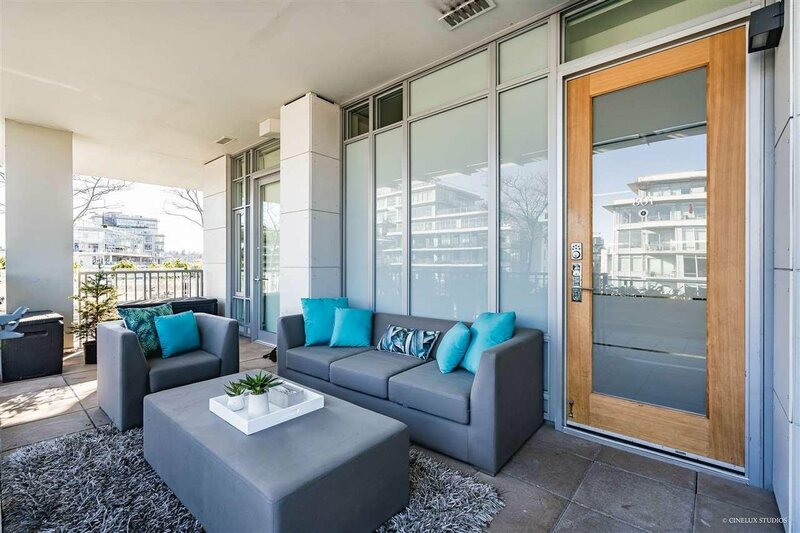 Did we mention the 550 SQFT of outdoor space with water views? 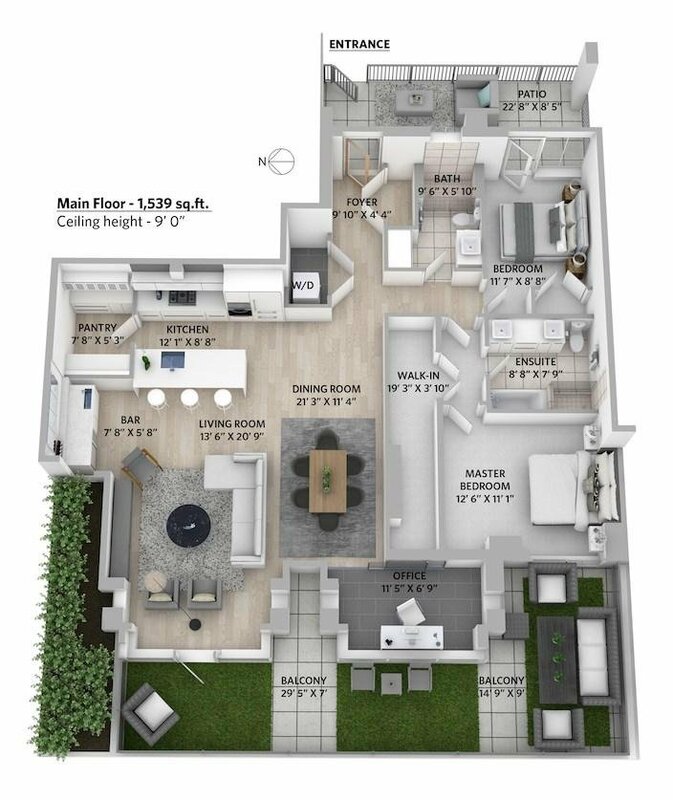  Five star amenities include access to the Gold Medal Club (pool, hot tub, sauna, steam room), concierge, and a large fitness center in the building. 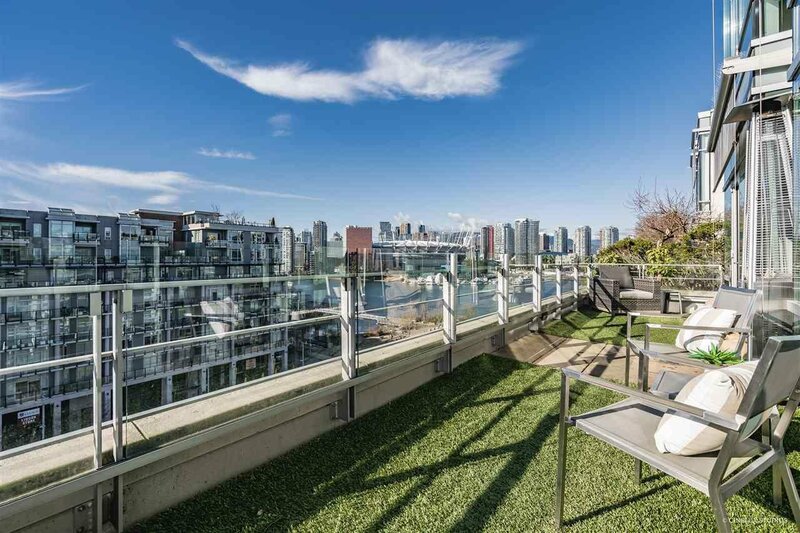 Enjoy being in the heart of one of Vancouver's favorite communities, with your own private entrance, 2 parking spots, and priceless views! 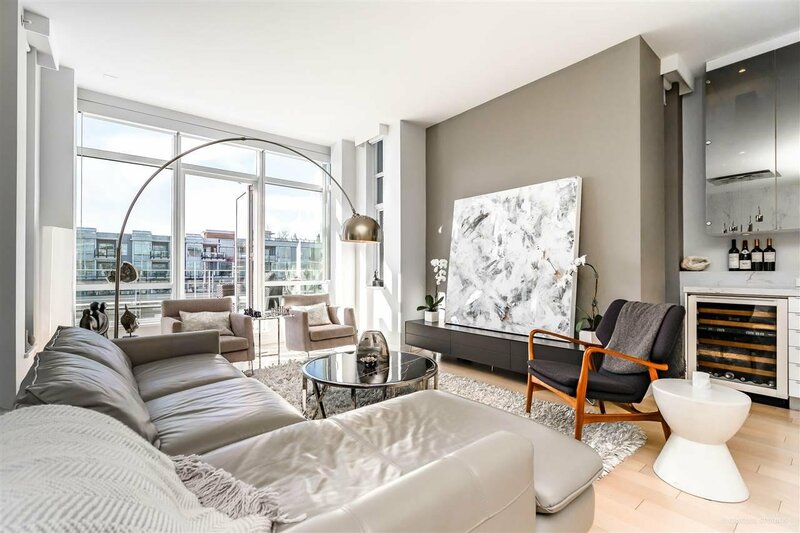 OPEN HOUSE March 30 + 31 2-4 PM by appointment only!